Ocean conservationists from watchdog group Oceana have started tracking illegal activity of commercial fishing vessels through satellite data. 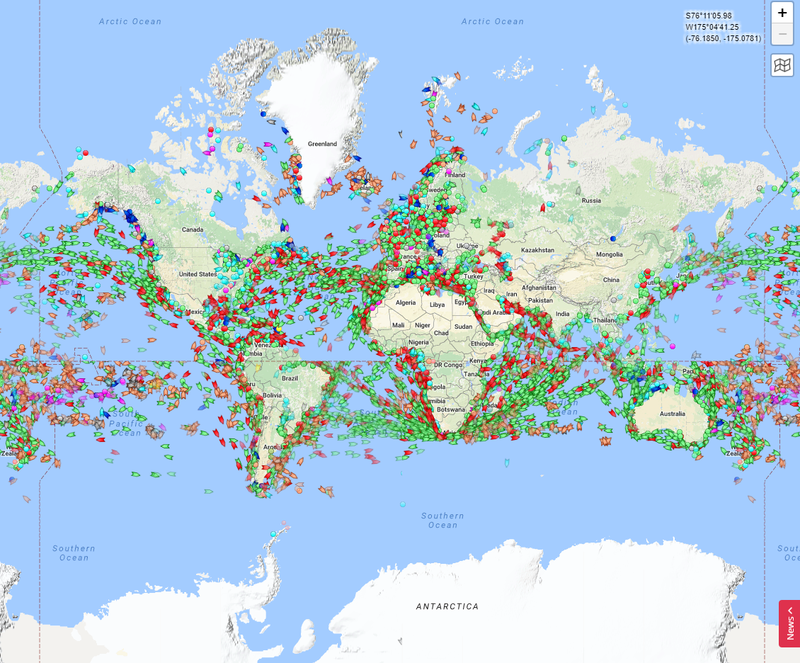 This data comes from a public tracking system called the Automatic Identification System (AIS), which was originally designed as a safety mechanism for vessels to avoid collisions at sea. Over time, it can also be used to monitor and track vessel movements. A Panamanian commercial fishing vessel went dark for 15 days on the west side of the Galápagos Marine Reserve before it began transmitting signals again on the east side. A Spanish commercial fishing vessel appeared to repeatedly go dark for at least 21 times when leaving the port of Dakar in Senegal and approaching the Gambia’s national waters over a one-and-a-half-year period. Though it’s hard to identify between intentional disabling of the AIS, equipment malfunction, or satellite coverage issues, this question is now being raised: Is going dark from public tracking systems illegal? The quick answer to that question is NO. Oceana noted that going dark is not necessarily illegal, but this behaviour may indicate that the ships are doing something suspicious. To answer that question with another question: Why would a vessel hide its tracks if its operations are in good faith? A ship’s crew may turn off its AIS broadcast for legitimate reasons such as evading detection by pirates, but this may also indicate that a vessel is hiding its illegal activities like fishing in no-take protected areas or entering another country’s waters without authorisation. Oceana is now urging governments around the world to require all commercial fishing vessels to be equipped with and continually transmit tamper-resistant AIS technology. Increased transparency can help deter illegal fishing, prevent unauthorised fishing in a nation’s waters and improve monitoring of fishing around the world. It can also improve maritime safety, help combat illegal fishing and increase compliance of laws and regulations. Further digitalization in the logistics industry is happening with "Smart Containers" being introduced that enable 24/7 end to end visibility and supply chain optimisation on land and at sea for more transparency, safety and cost-efficiency. Smart containers make it possible to generate near real-time data and monitor the movement and condition of your cargo at any given point in time, anywhere through this permanent, electronic high-tech device. There is no doubt that this cutting-edge connective technology will rapidly becoming the new shipping standard to improve shippers experiences. It's user-friendly hub allows efficient analytics, easy set-up of alerts and personalised notifications. At this stage only a few carriers have these available and they are charging about USD90 to USD120 per container per trip. This level of visibility has long been sought after by my clients, particularly for high value cargo, and will definitely be a game changer in the logistics industry and no doubt highlight where efficiencies can obtained.